Liberty Counsel Defends Inflicting Jesus On Remote Tribes Because They Might Be Committing Child Abuse - Joe.My.God. How can we assume the entire tribe want no contact with the outside world? How can we assume the island is free of domestic, child, or elder abuse? How can we assume that there are no people on the island who long to leave and explore a new life but who are forced to stay? We have no way of knowing, and therefore we cannot flatly assume that isolation is the best course of action for these people. Without proper medical treatment, a young child who falls from a tree and suffers a severe broken leg or arm will likely live a difficult, if not short life, even by the Sentinelese life expectancy. Minor sicknesses in developed countries can be treated by proper medicine. But, minor sicknesses for the Sentinelese can be fatal. How can we assume the Sentinelese would rather watch their children die than have modern medicine save them? Few people would volunteer to give up all medical treatments in exchange for isolation. Who are we to deny the Sentinelese the choice of their future? George Washington died a painful death from a throat infection that could have been treated with modern medicine. How many Sentinelese die painful deaths because they lack modern medicine? Who are we to say they are better off left alone? Despite their isolation, the Sentinelese no doubt get cut, sometimes severely. Even minor cuts without proper medical care can become infected. A broken jaw, tooth, or toothache can cause excruciating pain. These, and a host of other medical conditions and physical injuries, can result in prolonged disability or painful death. Are the Sentinelese better off left to suffer what otherwise could be an easy cure or treatment by modern medical standards? If you think so, then on what basis can you make that decision? Certainly it is not because of the known wishes of the Sentinelese people. We must not be so arrogant or so cold to make these life and death decisions for them. The children born on North Sentinel have no choice in their destiny. How can we assume they do not want better if they knew an entirely different future awaits just beyond the horizon? 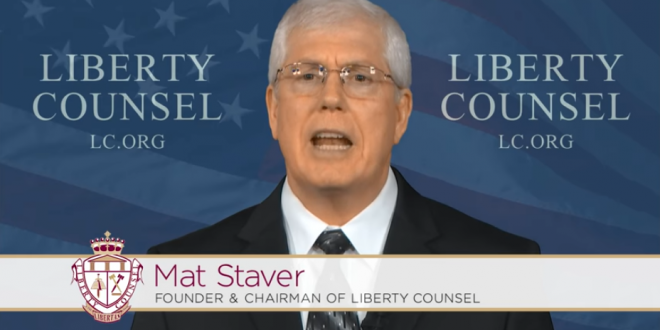 Staver’s crazy goes on for thousands of words. John Chau, as Staver revealed in a CNN interview, had toured with the Liberty Counsel.